﻿ SRW, Inc. dba "The Bookkeeper"
"The Bookkeeper" specializes in full charge bookkeeping services for Jimmy John's franchise operators. As you are well aware, there are many facets to running and operating a successful business. While concentrating on your core business, financial record keeping and paperwork retention easily become overwhelming. Out of date or poorly prepared records can severely hinder your business. "The Bookkeeper" can solve these problems for you by offering high quality full charge bookkeeping services, with your company in mind, at very affordable rates. 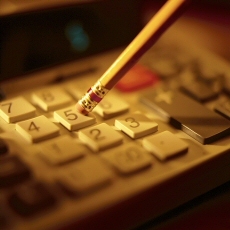 Our services encompass a wide variety of accounting and bookkeeping tasks. "The Bookkeeper" specializes in all aspects of bookkeeping necessary for your business including the filing of state sales and use (or compensating) tax. We also provide preparation of records for your annual tax return and support in many other software applications. BOOKKEEPING WHEN YOU NEED IT! Finally - something for you, a small business owner, who has trouble keeping up with their bookkeeping while trying to run a successful operation but doesn't want the expense of carrying a full-time bookkeeper. "The Bookkeeper" is your solution. Our bookkeeping services are available when you need them, and how you need them done. We use the latest version of QuickBooks although we have several previous versions if you don't feel the need to upgrade your current software, it's not even necessary to HAVE your own software. We are able to work on your books virtually so there is no need to send your accounting file back and forth if you want to be hands on. Don't worry about the expense of upgrading your computer to handle the latest versions of accounting software or spending hours deciphering how to use it! You tell us what you need done and we will give you a list of what we need to complete the task. Imagine the ability to focus on your business if you were not distracted by your ongoing bookkeeping tasks. "The Bookkeeper" prepares financial records; providing powerful information that enables you to better manage your business as well as the day-to-day bookkeeping. SRW, Inc. dba “The Bookkeeper” is an independent entity that is not affiliated with, or endorsed by, Jimmy John's Franchisor SPV, LLC, its affiliates, or any officer or employee of the franchisor. All representations on this website are solely those of "The Bookkeeper", and "The Bookkeeper" alone is responsible for the performance of all services described on this website.